The group’s beguiling three-part harmonies fuel the album’s first single “I Was Wrong,” a statement of compassion and self-reflection. BAILEN explain: “The song is about coming together and listening to the other side of an argument, hearing another perspective, and being able to say I was wrong. It was inspired by the growing global divide in ideology and a general unwillingness to hear out someone with differing opinions. Sometimes the hardest thing to do is admit your faults, but often it’s the only way to move forward.” “I Was Wrong” is out today and available to stream HERE. Thrilled To Be Here is available now for pre-order HERE. BAILEN’s otherworldly musicality springs from a very deep well, in fact, it’s in their DNA. Raised in New York by their classically trained parents, Daniel, David and Julia immersed themselves in the family’s diverse record collection. The group’s highly collaborative songs are formed by three very different individuals who were all inspired by literature and a love of language. The resulting confident, meticulous songcraft of Thrilled To Be Here is rooted in the young group’s preternatural dexterity, insight and lyrical bite. 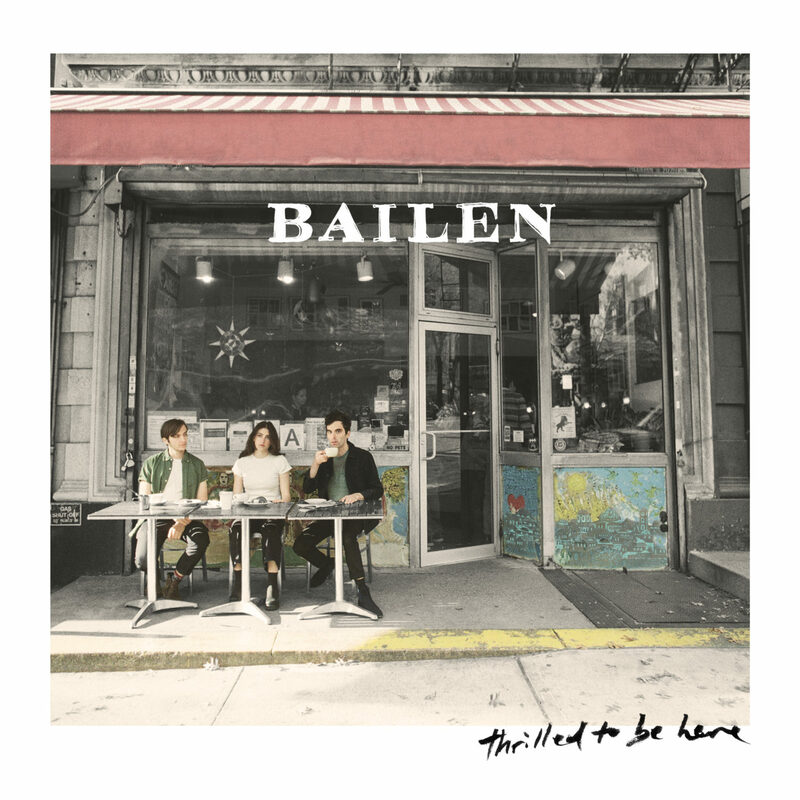 BAILEN has emerged by cultivating a passionate following via their live show, guesstimating over 300 shows to date, and touring and collaborating with such artists as Amos Lee, The Lone Bellow, Joseph, Oh Wonder, and others. The band has also announced a U.S. headline tour that begins February 20th in Pontiac, MI., and includes shows at Chicago’s Schubas on the 21st and L.A.’s Bootleg Theatre on March 7th. Last night BAILEN celebrated the announcement of Thrilled To Be Here with a packed hometown show at NYC’s Bowery Ballroom. A full itinerary is listed below, tickets are on-sale now. Read BAILEN’s full bio/download photos and cover artwork HERE.